(2) LEASING RIGHTS – Also known as non-exclusive rights, purchasing a lease grants the customer limited artistic & legislative rights to the corresponding beat(s) for one single profitable/commercial use on any medium (e.g. album, EP or mixtape) with a circulation of up to 2.500 sales unites. If this point of sale is reached & further sales are desired, also further rights with a new sales cap need to be obtained (if the beat has not yet been sold with exclusive rights & is still available). If the beat is no more available for leasing, no more sales can be made after the sales cap is reached. A lease comes as a mixed tag-free Mp3-file & a contract/invoice, stating the rights of use. A beat can be leased to more than one person at the same time until exclusive rights are sold to the beat. Once a beat has been sold with exclusive rights, it will no longer be available for any kind of leasing. Previous leasing rights that have been sold before are not affected & stay valid until the sales cap has been reached. Leasing a beat does not make the customer the sole owner of the beat. The licensee is not allowed to get profitable radio-, video- or television-airplay or to perform the song on commercial/profitable shows with a leasing license. For this purpose licensee must own exclusive rights to the beat. The licensor expressly forbids re-sale or any other distribution of the producer’s compositions, either as they exist or any modification thereof. You (the customer) cannot sell, loan, rent, lease, assign, remix, re-arrange, remove any melodies, instruments, drum programming or transfer all or any of the products sold or the corresponding rights to another person (example – Record Label, another production company, another producer, another artist), or for use in any competitive product. The licensee understands that the licensor maintains 100% copyright & ownership of the original instrumental composition. Licensee cannot use any beat compositions as background element in TV, Film & DVD / computer game projects without obtaining written consent & a separate license agreement. Licensee must include on all productions & products the producer’s name. Licensee agrees to display the producer’s name in all physical media or within web presentation of a portion (e.g. pre-listening) or sum of the original instrumental composition that is being licensed in this agreement. Including but not limited to CD’s, CD covers, Cassette tapes, LP’s, Cards, etc. (Example credits: ‘Beat prod. by Veysigz (Timo Ueckert)’ or ‘Music produced by Veysigz (Timo Ueckert)’ … Music © 2011 All rights reserved. Used under license. Any displayed or downloadable MP3 files must include ‘produced by Veysigz (Timo Ueckert)’ within the file name. Furthermore, LEASING RIGHTS are subject to registrations in points (5) – (6). (3) PREMIUM LEASING RIGHTS – Same restrictions as in point (2) including the following differences: A Unlimited lease comes as a mixed tag-free WAV-file, the corresponding separate track-lines & a contract/invoice, stating the rights of use. Instead of an allowed circulation of up to 2.500 or 8.000 sales units, the unlimited lease allows unlimited sales units. In addition, the customer is allowed to use the beat for unlimited profitable public performance with unlimited earnings in total of the performance. All other terms concerning unlimited leasing rights are listed in point (2). (4) UNLIMITED LEASING RIGHTS – Same restrictions as in point (2) including the following differences: A premium lease comes as a mixed tag-free WAV-file, the corresponding separate track-lines & a contract/invoice, stating the rights of use. Instead of an allowed circulation of up to 2.500 sales units, the premium lease allows up to unlimited sales. In addition, the customer is allowed to use the beat for unlimited profitable public performance with unlimited earnings of the performance. All other terms concerning premium leasing rights are listed in point (2). These terms stay the same for all types of leasing rights. (5) EXCLUSIVE RIGHTS – The purchase of exclusive rights grants the customer full artistic & commercial rights to the purchased beat. There is no sales cap related to exclusive rights. An exclusive rights purchase comes as a mixed tag-free WAV-file, the corresponding separate track-lines & contract/invoice stating the rights of use. Once a beat has been sold with exclusive rights, it will no longer be available for any kind of leasing/sale. Previous leasing rights being sold before the beat has been sold exclusively are not affected hereby & stay valid until the sales cap has been reached. It is therefore possible that a beat has been leased several times before exclusive rights are sold. The beat will be marked as ‘sold’ & any possible download & licensing option will be removed. Upon request, a sold beat will be removed from any website & marketing space where it has been offered by the licensor. The licensor expressly forbids re-sale or other distribution of the producer’s composition, either as they exist or any modifications thereof. You (the customer) cannot sell, loan, rent, lease, assign, remix, re-arrange, remove any melodies, instruments, drum programming or transfer all or any of the products sold or their rights to another person (example – Record Label, another production company, another producer, another artist), or for use in any competitive product. The licensee understands that the licensor maintains 100% copyright & ownership of the original instrumental composition. Licensee cannot use beat compositions as background element in TV, Film & DVD / computer game projects without obtaining written consent & or another license agreement. Licensee must include on all productions the producer’s name. Licensee agrees to display the producer’s name in all physical media or within web presentation a portion or sum of the original instrumental composition that is being licensed in this agreement. Including but not limited to CD’s, CD covers, Cassette tapes, LP’s, Cards, etc. (Example credits: ‘Beat prod. by Veysigz (Timo Ueckert)’ or ‘Music produced by Veysigz (Timo Ueckert)’… Music © 2014 All rights reserved. Used under license. Any displayed or downloadable MP3 files must include ‘Veysigz (Timo Ueckert)’ within the file name. Furthermore, EXCLUSIVE RIGHTS are subject to registrations in point (5 – 9). (6) CREDIT AGREEMENT – Credit must always be given to ‘Veysigz (Timo Ueckert)’. By making a purchase of any kind, the customer declares that he will give credit to the producer where possible in a written form (cd cover/booklet, youtube videos, social network pages such as myspace or facebook, etc.). Proper credit is given as follows: (Example credits: ‘Beat prod. by Veysigz (Timo Ueckert)’ or ‘Music produced by Veysigz (Timo Ueckert)’ … Music © 2014 All rights reserved. Used under license. Any displayed or downloadable MP3 files must include ‘produced by ‘Veysigz’ within the file name. (7) PAYMENTS – Veysigz (Timo Ueckert) accepts Pay Pal. All payments are to be paid or are paid upfront before delivery of the product. E.g. this means at the same time that services or products by Veysigz (Timo Ueckert) will only be delivered after receiving the payment(s). Payments that are still pending & not being credited yet need to be credited first before delivery! Payment plans for services & products, can be set up individually. A separate individual agreement therefore is necessary. Payment plans can vary from 2-12 payment steps, at least 1⁄4 of the total price of the service/product needs to be paid upfront. If the customer does not fulfil his payment- plan obligations, & does not complete the payment plan, there will be no refund of any payments made, due to the administrative work & possible financial losses. The beat will be available again for sale & the customer will keep a premium lease (see 3) to the beat! Beats that are being paid with payment plans may no longer be sold with exclusive rights but may still be leased until the customer has completed the last payment step of the payment plan. In case of a money-refund by any of the parties, the issued contract becomes invalid. (8) PUBLIC PERFORMANCES – Non-profitable performances are allowed for any license type. Profitable performances are only allowed with exclusive rights (1 show allowed within premium leasing rights)! You may NOT use free download versions for public performances! (9) DELIVERY – Products are not delivered via an automatic system – a delivery time frame of 24 business hours is possible. All products are delivered via e-mail or via a download link by a file-sending service such as sendspace.com. No tangible copies will be delivered. (10) GENERAL TERMS & CONDITIONS – By making a payment the customer declares that he is fully aware of the terms & conditions & accepts & agrees to them. 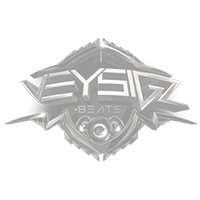 All terms & conditions are listed on the webpage www.veysigzbeats.com/terms. In case of a change in any of the listed points or should one point become invalid, all other points stay unaffected & are still valid. This company’s legal domicile is Steinen / Germany. For this written agreement & the general legal relationship, German Law is applicable. Purchases within the European Union include taxes of 7%, listed separately on the invoice under tax/MwSt. All purchases from countries which are not a member of the European Union do not include any taxes & are tax- free. If a beat contains sampled material, the sample-clearing of itself needs to be done by the customer(s), not by Veysigz (Timo Ueckert). The licensee understands that they are responsible for clearing all samples that they choose to use & that the licensor cannot & will not be held liable for the misuse of any sampled material that the licensee uses in conjunction with the original instrumental composition that is being licensed in this agreement. The licensee understands & accepts that he only paid for the production work of the producer. The licensor does not claim to have any rights on any sampled material. Under no circumstances is a customer allowed to re-sell the beat in any form. Rights that are given to a customer are not transferable. No matter if exclusive rights are sold to a beat, Veysigz (Timo Ueckert) will always be allowed to use that beat for own promotional uses. Therefore all beats sold exclusively stay on the webpage. Download & license options to that beat will be removed & the beat will be marked as ‘sold’. Customers may edit/alter the length of a beat as they see fit, as long as they own a license to the beat & do not change the sound-structure of the beat itself. No changes to a beat are allowed, except of length changes. Therefore it is also not allowed to use any parts, melodies, instruments, sounds, drum arrangements, etc. of the original instrumental composition for other compositions. After the delivery of the beat, Veysigz (Timo Ueckert) will be unbound of any further responsibilities to the customer & legally freed of any further duties. Any Beat by Veysigz (Timo Ueckert) may NOT be uploaded on any website without his permission. Veysigz (Timo Ueckert) is not responsible for other sites claiming to sell his beats. Anybody abusing or disrespecting the listed terms & conditions will likely face a law suit.